We offers the best and the most affordable printing solutions to the businesses of Sydney. To ensure you get the highest quality of the end product and to replicate your imagination the perfect way on to a print, it is crucial that you follow these print format tips. There are some important specifications that you need to comply with to make sure your design doesn’t get messed up during the printing process. What may appear mind-blowing on a computer screen could very well end up looking like a mess on a printed product. Why so? Because the real-life product has a different size than a computer screen. We recommend all our clients to send us their files in the correct format to protect the integrity of their dream projects. While our Experts promise same day delivery and Affordable Printing Rates, we cannot help the process if time and resources are wasted on incorrect files and formats. Before sending us a file for printing, make sure it has been created using the following applications on Windows or macOS. If you have used a different application, call us to confirm how to make sure you get the best results. Send us all the relevant files, including fonts and graphics to avoid any print delays. 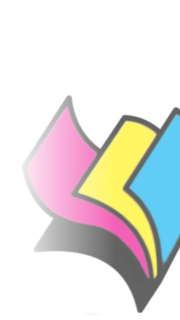 Nominate all colours as CMYK or Pantone (PMS) – some PMS colours may be outside the colour range of CMYK devices; don’t depend on your display colours, and check your Pantone or CMYK specifications. If you have any queries, call us at (02) 9893 9131 or drop us an email at info@avisprinting.com.au to avoid print delays.